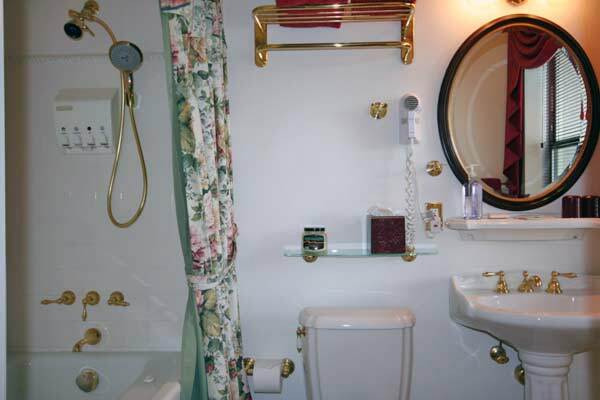 To experience this room is to step back in time to a Victorian era, but with modern day amenities. 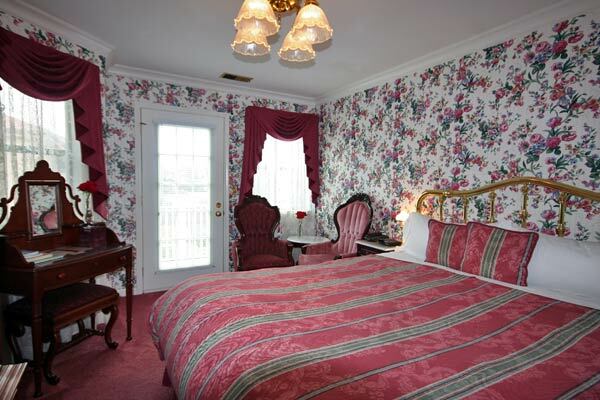 You are enveloped in beautiful surroundings with flowery wallpaper and classic Victorian furniture. 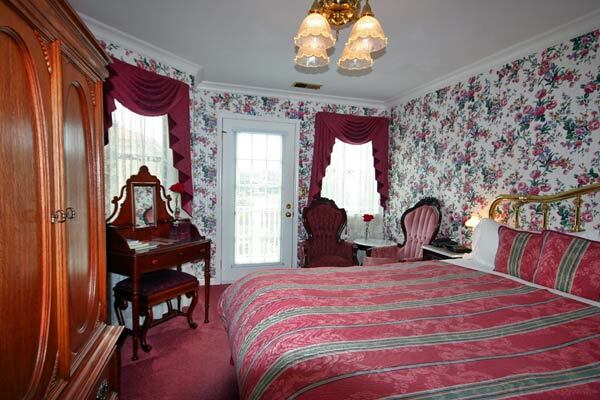 There is a deck outside the room to enjoy the beautiful coastal environment.